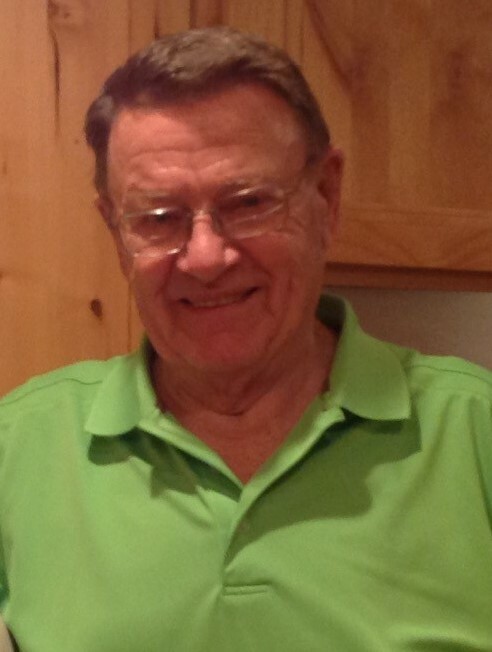 Hilbert Everett Wege, age 86, of Hayward, WI passed away on Wednesday, April 10, 2019 at his home lovingly surrounded by his family. Bert was born August 14, 1932 in Manawa, WI the son of Oscar and Ardella (Fietzer) Wege. Bert was raised in Manawa and attended schooling there. Upon his graduation from high school in 1950, Bert joined the U.S. Air Force with hopes of becoming a pilot. Bert was unable to fulfill his dream of becoming a pilot and was honorably discharged. He returned to Wisconsin and enrolled at the University of Wisconsin, Milwaukee in the engineering program. He then took a job with North Central Airlines based in Chicago working in ground operations. After some time with North Central he transferred to Minneapolis, MN where he became a Flight Dispatcher. Calculating the proper fuel loads, flight routes, load capacity and weather patterns was a job that Bert loved. When Bert was not working, he would often travel with friends to Hayward, WI to go fishing. Bert met Janice M. Malchow at his job with North Central Airlines, and they were joined in marriage on June 16, 1965 in Byron, MN. Together they settled in Bloomington, MN where they started a family. While raising their family they purchased some land on Round Lake where they built a home with Jan’s parents. Most of the summer months were spent in Hayward while their children were young. In 1993, Bert retired from his flight dispatcher position with Northwest Airlines and moved to Hayward. Bert was an active member with St. Luke’s Lutheran Church in Bloomington, MN and First Lutheran Church in Hayward. He loved fishing for muskie on the Chippewa Flowage, hunting big game out west and upland bird hunting. During Bert’s later years, he became a passionate custom woodworker. Bert was a history fanatic who enjoyed traveling to historic points of interest while on any vacation. Bert’s travels took him world-wide where he found any mountainous landscape a favorite place to experience. Bert is survived by his wife of 53 years, Jan; daughter, Kristen Wege of Bloomington, MN; son, Mark (Debra) Wege of Bloomington, MN; three grandchildren, Hayden, Kiley and Lucas; and many nieces, nephews, cousins and friends. He was preceded in death by his parents; two sisters, Mildred Jurkonis and Hildegard Mittelstadt; and brother, Kenneth Wege. A memorial service celebrating Bert’s life will be held at 11:00 a.m. on Monday, April 15th, at First Lutheran Church in Hayward with Pastor Joel Bacon officiating. Music will be provided by Rebecca Iverson and Randy Schwartzhoff. A time of gathering with family and friends will be held from 10:00 to 11:00 a.m. on Monday at the church. Interment will be at a later date at Fort Snelling National Cemetery in Minneapolis, MN. In lieu of flowers memorials may be directed to the Pancreatic Cancer Action Network, 1500 Rosecrans Ave., Suite 200, Manhattan Beach, CA 90266 or First Lutheran Church, PO Box 346, Hayward, WI 54843. Bert was a faithful and longtime friend of Bill W.